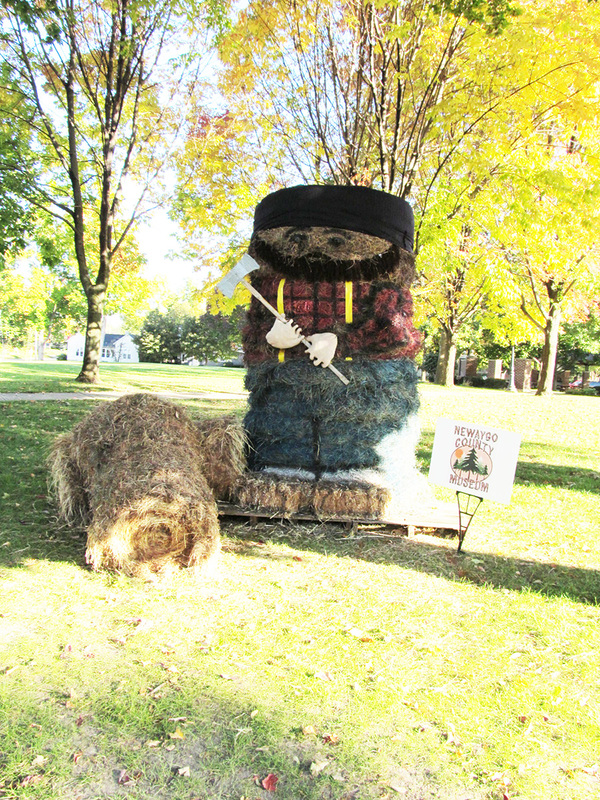 Harvest Festival and all the neat hay bales that community members have worked so hard on. Don't miss the Parade Thursday, October 4th and the Antique Tractor Show Friday and Saturday, October 5 & 6 ! Contact the Fremont Chamber if you would like to participate. The parade theme is The Good Ole Days! Vote for your favorite Hay Art again in 2012 by dropping off canned or dry goods next to the picture of your choice. All food will be donated to True North Community Services Food Pantry. Events listed below are from 2011 and will be adjusted as we get closer to October 2012. Hay Art on display throughout the community Sponsored by ChoiceOne Bank! Harvest Time Parade @ 6 PM featuring the Harvest Festival Family - The parade is brought to you byGerber Federal Credit Union. Harvest Festival Family made possible by Pine Medical Group. Dogs on the Green 4 – 7:30 PM Veterans Memorial Park – Serving Foot Long Hotdogs! Square Dance - located at the Market Pavilion starts at 7:00 PM. Organized by the Church of the Living Christ, this free event is for anyone regardless of previous experience. *Pumpkin Roll, 9 AM – 12:30 PMsponsored by Hair by Joan & Co.
Corn Hole Contest - located in the Beverage Tent from 4:00 PM to 7:00 PM. Harvest Harvest Festival Beverage Tent at the Fremont Market Place – 4:00 pm – 11:30 pm –Sponsored by Basic Communications, Fremont Animal Hospital, H & S Companies and the Party Station of Fremont. (Serving Bud Light, Bud Select and Michigan made Beer & Wine.) At 8:00 PM the Braunschweiger Blues Band will perform in the Beer Tent untill 11:00. This 5th Annual contest will determine whose pumpkin patch grows the biggest pumpkin! Contact the Chamber for the entry information. Thanks to all of our 2011 sponsors! Fremont Harvest Festival Gold Sponsor: North Central Co-op General & In-kind Sponsors: Harmon Inc., Nieboer Electric, Fremont Area Community Foundation, TS & Co, City of Fremont, Fremont Police Department, Fremont DPW, NBFF Queen's Court, Tamarac, Awards n More, Todd Greiner Farms, Fremont Lanes, Fremont McDonald's, FHS FFA Alumni, FPS, Dale Berens, Rick Mansfield Sounds "R" Us, Empowerment Network, Mellema Nursery, Fremont Insurance Co, Wal-Mart Super Center, Choice One Bank, Jan & Keith Breuker, Heritage Farm Market, Ed's Grocery Store, Paulsen Heating & Cooling, Greenstone Farm Credit, Bill's Shop N Save and American Truck Accessories. Fall Harvest Festival Volunteers help make all of the above events possible. A special Chamber "thank you" to the many people in our community who give their time! Thanks to Fremont Area Chamber of Commerce For providing me the information and pictures for this post. Please check out their site for more details. If you know of an event in West Michigan please email me and let me know so I can post it.